Straight cut head, 3.2 Inches Long, weighs 2.05oz with polished chrome finish. Also available in long handle. 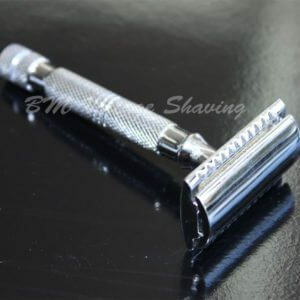 A traditional safety razor with a non-traditional handle. 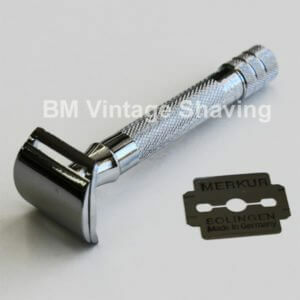 This brand new safety razor from Merkur has a unique modern design and equipped with classic Merkur razor head. It’s structured handle has a black matte finish that makes it easy to hold and will prevent the razor from slipping out of your hand when wet. 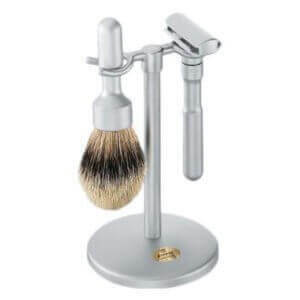 It also has a unique end cap with the signature Merkur logo engraved on the end. 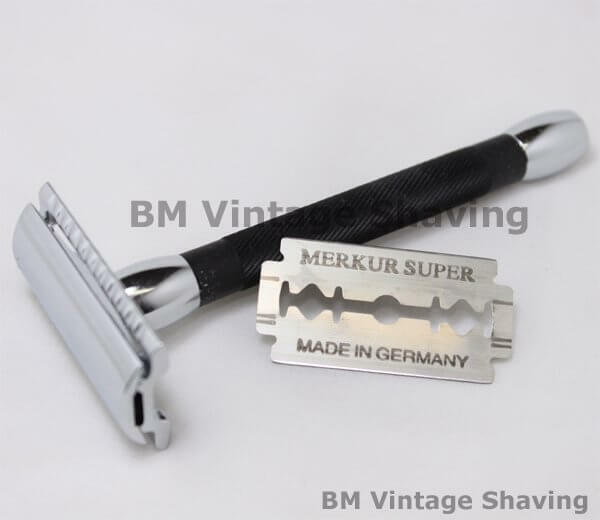 Boxed with one Merkur Super Platinum Blade. Imported directly from Solingen, Germany.